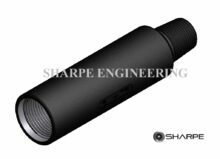 Sharpe manufactures and services a range of industry proven drilling accessories, down-hole tools and associated equipment including fishing tools and lift nubbins. 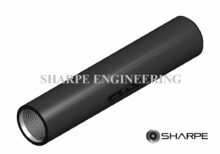 All accessories are manufactured to our client’s specific requirements or, where applicable, under our API Spec 7-1 certification. Sharpe is authorised to apply the API monogram to manufactured items that fall within the API Spec 7-1 criteria. A Crossover Sub is generally used to connect the drill pipe to the BHA and are also utilized to connect special drilling tools and stabilizers within the BHA. Subs can also be used to protect other tools being run as part of the drill string. Crossover subs are designed to be compatible with tool joints they are connecting to. 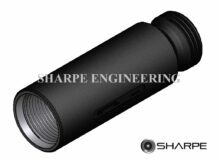 Sharpe’s crossover subs are available in Box/ Box, Box/ Pin and Pin/ Pin configurations. All Crossover subs are generally made with AISI 4140/ 4145 material conforming to drill collar and API Spec 7-1 specifications or by customer specification. A Bit Sub is usually made up of two box connections used to connect the bit to the drill stem (BHA) components. Bit subs are normally bored with a float recess to accommodate a float valve. A Lifting sub is a special tool for the safe lifting and handling of drill string components such as drill pipe, drill collars, shock tools, directional equipment, jars, and other tools using the drill pipe elevators. 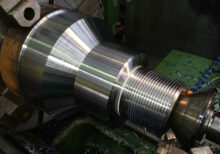 A Saver sub is normally a short sacrificial sub that is used between the topdrive quill and the drill string to prevent the excessive wear on the quill connection when making up and breaking out the drill string from the top drive. 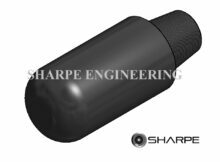 A side entry sub is an integral pin x box sub with an integral hammer union side outlet manufactured from 1 piece of AISI 4140/4145 alloy steel. Side Entry Subs are manufactured to match the drill pipe generally with an integral 2” 1502 union side outlet. A Jetting Mill is made up of a standard drillpipe box-up / pin-down connections with threaded side ports to accommodate bit nozzles. Jetting Subs are used to remove drill cuttings, mudcake, and other debris that drilling deposits on the riser, blowout preventer (BOP) and wellhead. The circulating sub is used for circulating drilling fluid when running in casing. Circulating subs are attached to the top of the casing string to form a connection with the mud flow line to enable circulation of the drilling mud. Circulating subs can come with either a casing thread and/ or union thread (602/ 1502 union). A Bullnose Sub has a blunt rounded end and is used to run in and condition the hole prior to running casing or logging runs. The sub can also accomodate a bit nozzle if required. Bullnose subs are also used on the bottom connection of a hole opener and guides the hole opener through the pilot hole. A Drive Sub is used to adapt the drillstring to the washover string. A float sub is used to prevent drilling mud and cuttings flowing back up the drill string. A Float Sub is made up of a main body, which is machined to accommodate a one way float valve. A Drill Pipe Pup Joint is a custom length drill pipe joint . The Pup Joint enables the driller to land at a specific depth whilst staying within the Kelly Valve’s working area. Pup Joints can also be used to add length to downhole tools. Lift nubbins are used in the handling of drilling tools and tubular products on the rig floor. lift nubbins are manufactured to suit the tool joint and is load rated. by Lift nubbins also offers thread protection. 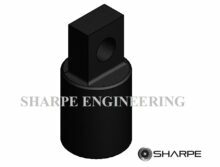 Sharpe manufacture lift nubbins to a client’s specification from steel castings with heavy-duty lugs in accordance with API Spec 7-1 and certified and/or load tested in accordance with Australian Lifting Standard (AS4991). Fishing Tools are utilised to retrieve stuck or broken drill string components from the well bore and to avoid the costly expense of the rig being stood down or loss of expensive down hole tools or equipment. 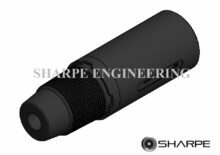 Sharpe manufacture, re-dress, refurbishment and service all types of fishing tools. 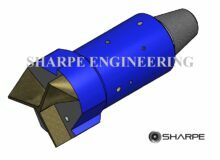 Sharpe also works with clients to design and manufacture custom fishing tools in a cost-efficient and timely manner. 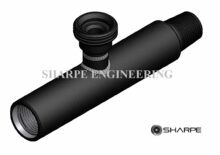 Sharpe’s fishing tools are 100% gauged and come with standard API or client specified threads.